Mary Jones interviews painter Sarah Walker on the occasion of Walker's show Space Machines at Pierogi, New York, on view through October 9, 2016. 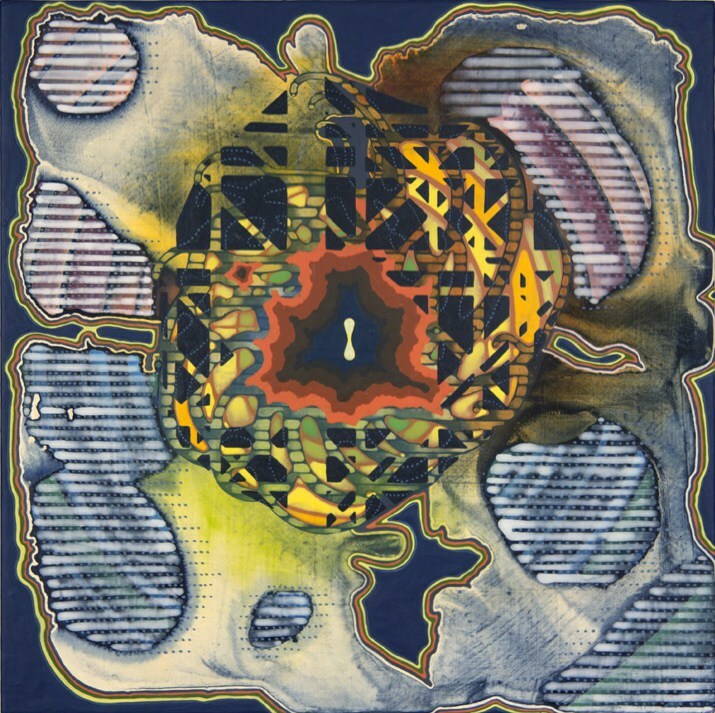 Walker comments: "I feel the title 'Space Machines' is relevant here, in that my work can generate a different sensibility of existing in space, an alternate form of cosmos. I feel they can operate as useful filters for complexity. We have a simplified perceptual structure that filters out information to aid our survival. It seems, however, that the terms of survival are changing fast, and we have to be more porous and flexible in how we view the intersection of all the different kinds of material and nonmaterial realities that exists around and inside of us. What happens when all these are influencing one another in subtle and not so subtle ways is how these paintings are built, nothing goes away, it all sticks around."